Oscar Hedstrom and Oliver Hendee, prominent figures in the cycle racing world, ventured into the infant North American motorcycle industry as early as 1901. 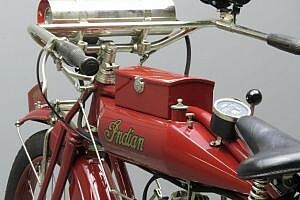 From the outset they were pioneers, adopting chain drive for their Indian motorcycles when most of their competitors used belt drive. 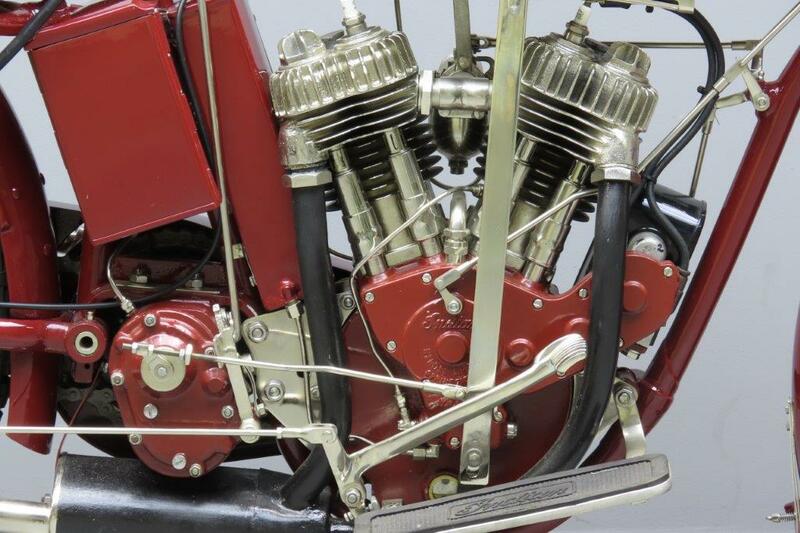 The single cylinder, F-head engine of their 1901 prototype formed part of the frame and, unlike other contemporary machines, the Indian engine sloped rearwards rather than forwards, acting also as the seat tube support. 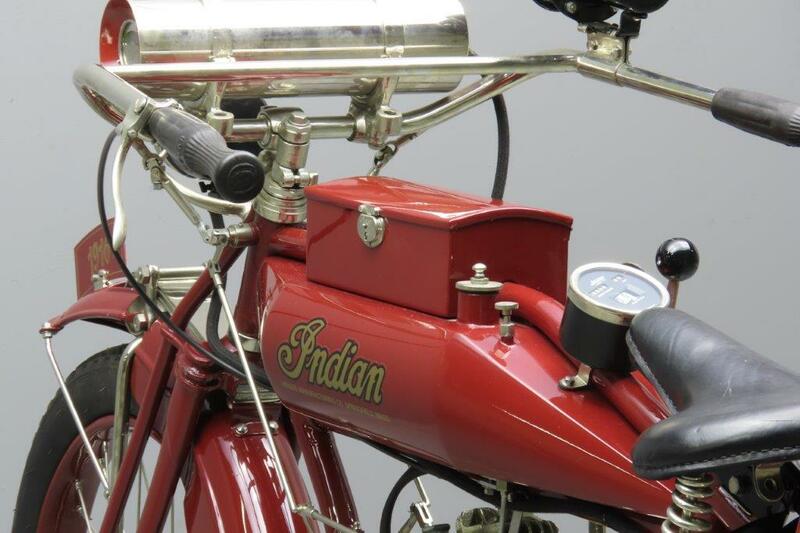 The Indian found instant appeal and by 1905 had a strong following. 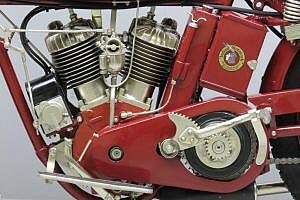 In that year the company introduced leaf spring front forks and twistgrip throttle and ignition controls. 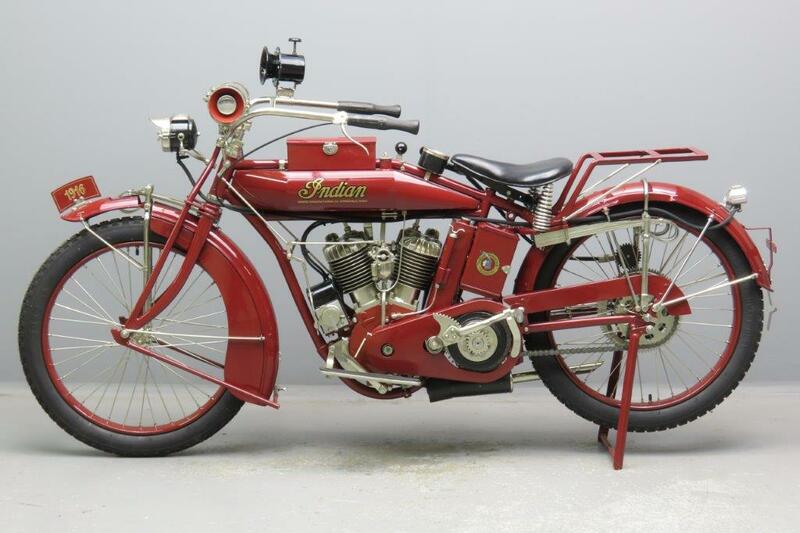 A landmark year for Indian was 1907 when the company introduced the first of its V-twins, the rear cylinder of the early models continuing to form part of the frame until 1909. 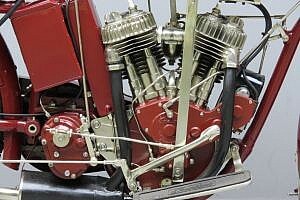 In that year the loop frame was adopted and continued development and innovation saw the development of the overhead valve, four-valves-per-cylinder racers in 1911. 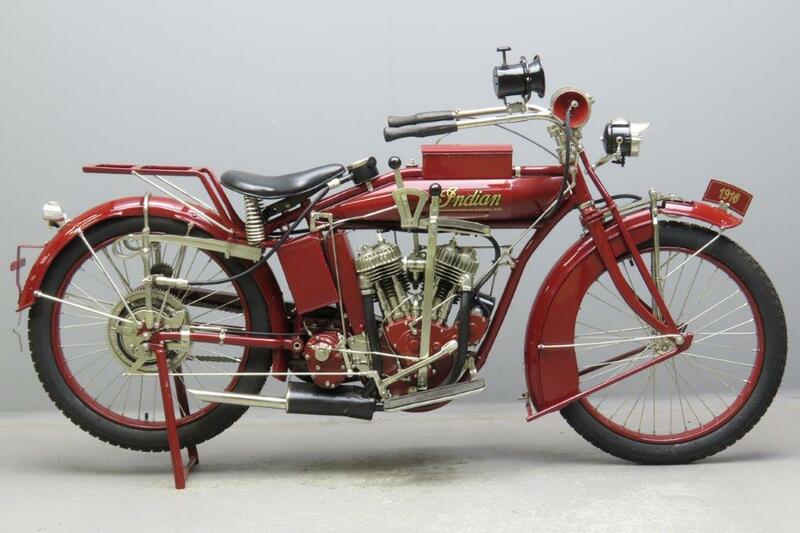 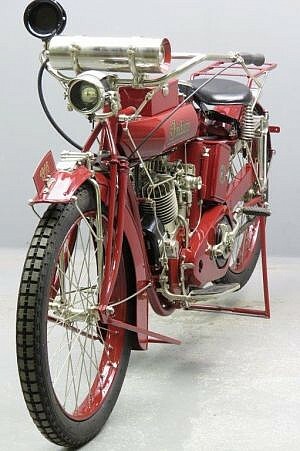 The resulting 61” side valve PowerPlus introduced in 1916 was an immediate success and this model is still one of the most coveted American vintage motorcycles. The machine on offer is a first-year PowerPlus, still equipped with the old-style one-piece petrol tank and controls with rods, bell cranks and universal joints. 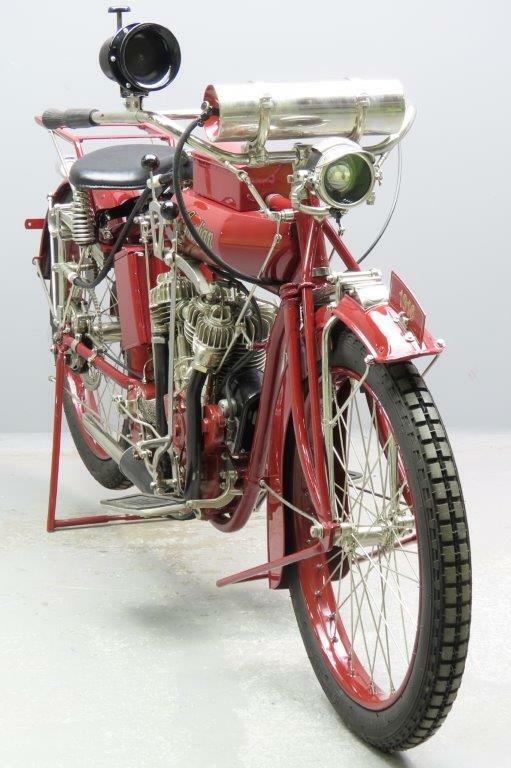 Accessories of this restored machine include speedometer, acetylene lighting system and hand operated klaxon horn.